Good driving requires two hands. Rostra Precision Controls is proud to introduce an innovative product that is going to change the way you use your cellular phone while driving. The Con-Verse Automotive Bluetooth Hands free System by Rostra allows you to keep both hands on the wheel while driving, keeping you alert and aware of your surroundings, ready to react without any distractions. Rostra offers the Bluetooth system in both a customized and universal fashion. 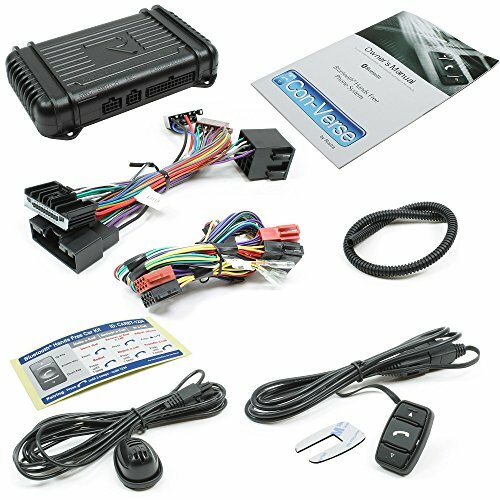 Customized Bluetooth kits included factory look-alike switches designed to fit directly into the knock-out plugs currently on your vehicle's dashboard. They allow you to retain your automobile's factory finish, all while adding the benefits of a hands free, voice-activated calling system. Customized kits also included wiring harnesses designed to tie directly into the wiring already on the vehicle. Manufacturer: Rostra Precision Controls, Inc. Publisher: Rostra Precision Controls, Inc. Studio: Rostra Precision Controls, Inc. If you have any questions about this product by Rostra, contact us by completing and submitting the form below. If you are looking for a specif part number, please include it with your message.